Ideally located in Recoleta, the most elegant residential area in Buenos Aires, near the financial district and close to museums and shops, Bel Air is a marvellous hotel with a charming neo-baroque façade and fully-renovated contemporary interiors, inspired by the modernism of the thirties. 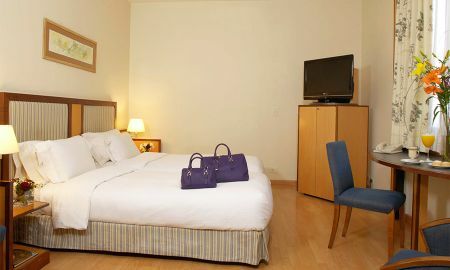 The spacious and bright rooms are decorated in a classic style with soft colours and modern facilities to offer you a pleasant stay in Buenos Aires. Bel Air hotel boasts also a cosy mini gym, equipped with modern machines to exercise and keep in good shape and a free access to Wifi. 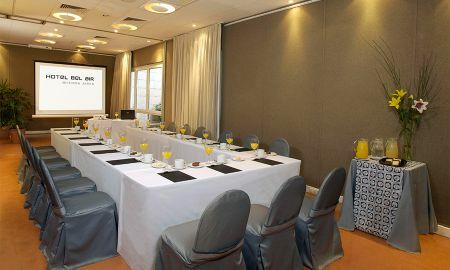 Bel Air hotel is strategically located in the Recoleta neighbourhood, close to the financial and commercial district, allowing quick access to the main cultural and tourist sites of the city.